Seven-year-old Rudolph 'Blaze' Ingram completed the 100m in 13:48 seconds gaining popularity on social media street and being likened to Usain Bolt. A video of Ingram smashing the race and beating his peers went viral. See for yourself. 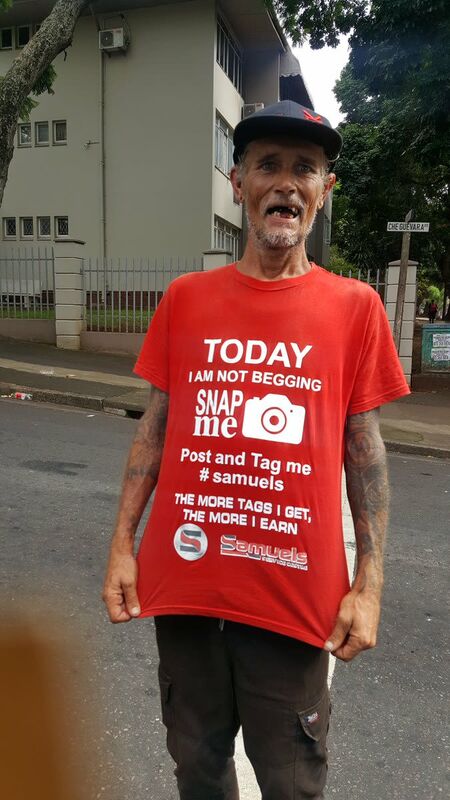 In other news that went viral, a Durban based company Samuels Service Centre, has taken an initiative that helps the less fortunate in the city. The company has come up with a concept that created a bit of controversy online by using homeless people and beggars as billboards. about 45 beggers have been hired to advertise in the streets and company is hoping to hire 80 more people. Elsewhere, in what looks like a morning after a rough night, a polish man is persistent in trying to stuff his head through a pair of track pants. [WATCH] Driver crushes his bike on roof rack at McDonald's drive through...Ouch!